To follow-up from the March IOI-SA and the Department of Agriculture, Forestry and Fisheries (DAFF) workshop, this workshop was held after the small-scale fisheries applications were complete and being processed. 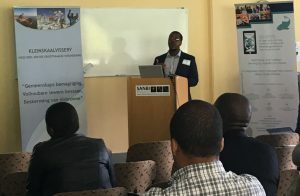 IOI-SA and DAFF held a full day workshop that brought partners up-to-date on the progress that has been made in the sector and invited potential partners to identify what role they could play in partnering with DAFF in supporting the small-scale fishing sector. The second workshop aimed to create tangible partnerships between organisations and DAFF for the support of the fishing cooperatives.